Notes: A small micro-distillery put together by three partners who are passionate about adult beverages (they got their start in homebrewing beer) and threw themselves into research on how to take the next step into micro distilling. 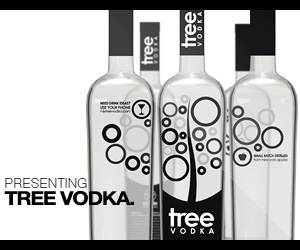 Using a custom designed pot and column stills, a unique filtration process, and techniques they describe as more artisanal than state of the art in limited space they have somehow still managed to create an impressive portfolio of products which include: Cane Vodka, Grain Vodka, Pepper Vodka, White Rum, Vanilla Spiced Rum, Double Diamond Whiskey, and a Malt Whiskey. 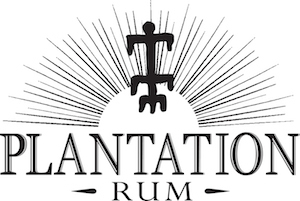 Using Maui cane sugar as its base, this rum is fairly unique in that they use Maui Cane sugar which has not been processed (think sugar in its rawest dry form) rather than molasses as many do. They then age it in used in wine barrels (in this case a California Tokajii – others include a California Chardonnay, and a Napa Valley Merlot ) and the rums gain distinctive color and taste through a careful solera type process till the rum reaches the taste and maturity profile that Downslope is looking for. While people like Buffalo Trace for bourbon and few Scotch Whisky distillers have tried wine barrel aging this is the first time that we know of for a rum to try this. Appearance: Perfectly clear, dark bronze gold in the bottle and just a hint of color in the bottle (unless you are having a lot) almost resinous sparkle with no hazing separation or floating sediments. Long legs and some droplets develop slowly on swirling. First Impression: At first whiff you could be forgiven for thinking this was an Armagnac or a Spanish brandy of some sort. With the heavy but delightful influence of the spicy grapes, oak giving it an oaky and herbaceous notes with sweetish, cane notes along with /minerals, vanilla, traces dark fruits. Taste: Nutmeg. Nice background char, vanilla and tobacco notes. Nice spicy finish. Drinks: The very distinctive bouquet and taste that is assertive and unique in a very different and refreshing way make for a very nice change in your classic rum drinks. Also very nice in brandy/cognac drinks lovely earthiness and spice. Make a world class Manhattan variant (which we have named “The Spice Must Flow”). Cigars: A good spicy Nicaraguan or possibly Cuban would go well with this rum . Maybe a Padron or a Ghurka also. Bottle/Packaging: Short apothecary shaped clear glass bottle with with very simple label. Wine red neck band and yellow/gold with white inset with barrel,bottle and bottling date information . Simple package shows the clarity of the rum nicely. Fast loading with a minimal amount of information. Easy-to-read with goodcontent (especially the story/manifesto) and descriptions of products, if a bit terse.